Executive Producer, Director, and Writer Jennifer Lahl is founder and president of The Center for Bioethics and Culture Network. 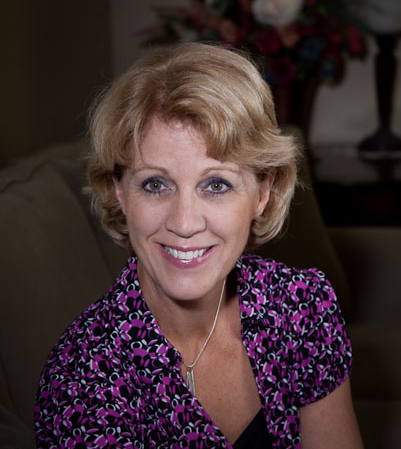 Lahl couples her 25 years of experience as a pediatric critical care nurse, hospital administrator, and senior-level nursing management with a deep passion to speak for those who have no voice. Lahl’s’ writings have appeared in various publications, including the San Francisco Chronicle, the Dallas Morning News, and the American Journal of Bioethics. As a field expert, she is routinely interviewed on radio and television including ABC, CBS, PBS, and NPR, and she is called upon to speak alongside lawmakers and members of the scientific community. She was even invited to speak to members of the European Parliament in Brussels to address egg trafficking. She serves on the North American Editorial Board for Ethics and Medicine and the Board of Reference for Joni Eareckson Tada’s Institute on Disability. In 2009, Lahl was associate producer of the documentary film Lines That Divide: The Great Stem Cell Debate, which was an official selection in the 2010 California Independent Film Festival. She made her writing and directing debut in 2010, producing the documentary Eggsploitation, which was awarded Best Documentary at the 2011 California Independent Film Festival, has sold in over 10 countries, and is showing all over the U.S. Associate Producer and Writer Matthew Eppinette is Executive Director of The Center for Bioethics and Culture. His educational background includes business, information technology, and bioethics. He has worked in both the non-profit and for profit sectors in communications, new media, information technology, and bioethics research. A chapter he wrote, “Human 2.0: Transhumanism as a Cultural Trend,” appears in Everyday Theology: How to Read Texts and Interpret Trends. He is also a contributing author to The New Media Frontier. He is currently studying Ethics at Fuller Seminary and is a Fellow of the Paul Ramsey Institute. He and his wife Ginger live in the Los Angeles area. Graphic Designer Evan C. Rosa is Communications Director at The Center for Bioethics and Culture, and he is a graduate of the University of California, Berkeley, where he studied philosophy and linguistics. He served as writer, production manager, and graphic designer on the 2010 documentary Eggsploitation. He is currently pursuing a graduate degree in philosophy of religion and ethics at Talbot School of Theology.